I can’t remember a time when I didn’t love to read but writing is a pretty new adventure for me. Of course I wrote stories when I was very young and I especially loved rewriting the ends of movies but I was an impatient kid and had an unfortunate tendency towards perfectionism. When, at around the age of ten, I realised my attempts at writing dialogue were dire, my writing career came to an abrupt end. A few years ago I decided to try my hand at writing again and Girl Targeted was the eventual result. 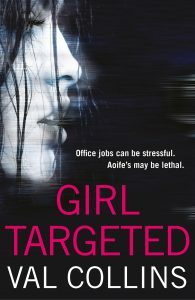 Girl Targeted is set in Ireland where I have lived all my life. It’s set in an office, an environment I know well as my entire working life has been spent doing office work. 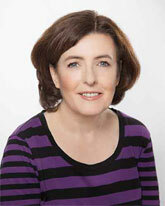 I’ve worked for small and medium sized organisations, for multinationals and for many different business sectors. Unfortunately, I was never lucky enough to come across anything as exciting as a murder so I had to rely on my imagination to create Aoife’s world. I really loved writing Girl Targeted and I hope you enjoy reading it.